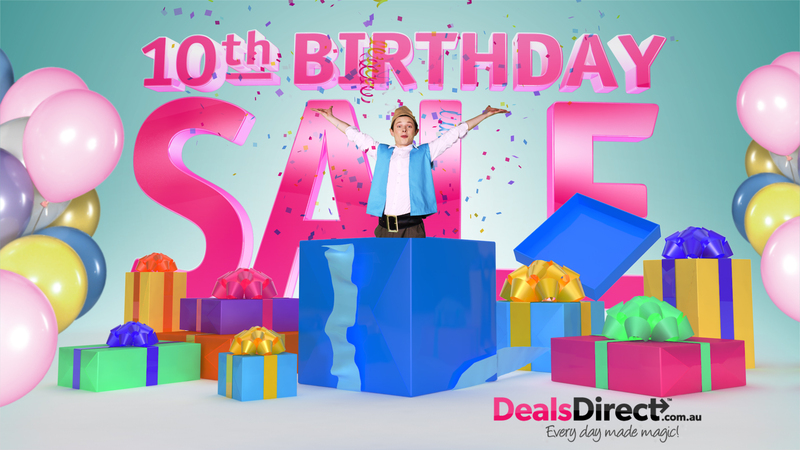 Online department store DealsDirect.com.au celebrates its 10th birthday by kicking off one of its largest marketing pushes ever. The campaign is spearheaded by a national TV campaign with three different executions that will run on free-to-air and subscription channels from August 20 to December 14. In addition, DealsDirect.com.au is launching print and online campaigns, social media competitions, catalogues, e-newsletters, and consumer-facing activations. 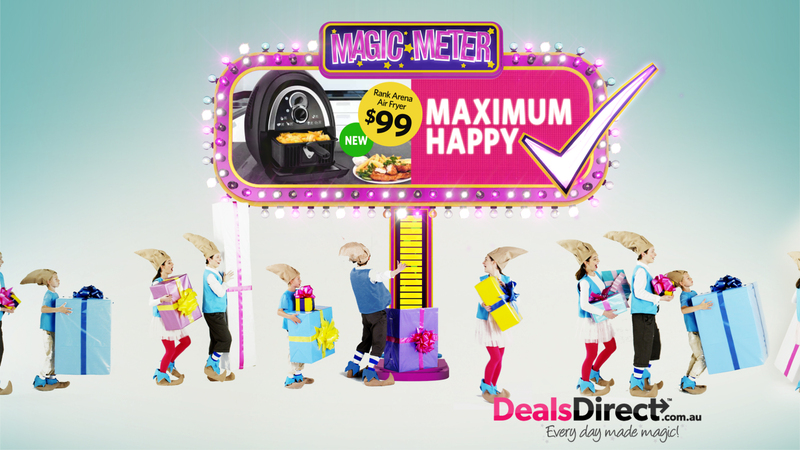 Featuring a new look and tagline for the DealsDirect brand, “Every day made magic”, the campaign includes birthday, spring and Christmas TVCs, and introduces the first of the DealsDirect elves, the head elf Gazza. DealsDirect has maintained its innovative and ‘be the first’ approach which saw the company launch as Australia’s first discount online department store and become the first pure-play online retailer to list on the ASX, launch a Click2Collect service, and offer live customer support seven days a week. DealsDirect is also the first pure-play online retailer to beat major bricks and mortar retailers to take the highest honours in the Canstar Blue Most Satisfied Customers Award* survey for the third year running with an unbeaten five-star rating. This is an independent study conducted with real Australian shoppers. “It’s an exciting time and we will continue to have fun with our customers, innovate, excite and delight, as well of course delivering the best possible customer service in the country,” said DealsDirect.com.au head of marketing, Elisha Booth. DealsDirect.com.au worked with Advertising Advantage (ADAD) who created the TV campaign. “What a great creative challenge! Find DealsDirect’s ‘mojo’ and give the brand a unique point of difference. Interestingly enough it didn’t take our team at ADAD long to find inspiration for the new campaign. After all, the brand has an amazing culture for finding products that are fun innovative and great value,” said ADAD Creative Director, Chris Spanos.